So, a day later, have we figured out just what the hell LeBron James meant when he said he’d never been part of a super-team? It was a blip tailor-made for emojis, a T-ball shot lined up so perfectly that even the most confused of sportswriters could kick a touchdown with it. How did this one get out? Despite some much talked-about hiccups, LeBron James has been more than accommodating to the public media in his decade and a half in the spotlight. Staring down the penultimate question of his 2016-17 season, LeBron James decided to dribble the ball off his foot rather than let the clock wind down, prior to asking for his final query of the super-long season. To call the comment a blemish would leave us presuming that James can be marked by anything at this point, which is clearly not the case. Outside of a few notable defensive miscues, common in a scene that has you swiveling your head at four All-Stars and a former Finals MVP at a time, James’ work in the 2017 Finals was impeccable at 33.6 points, a dozen rebounds and 10 assists. The “super-team” buttress is backward, though. James wasn’t inching toward his past martyr-y tones when discussing this Finals loss, but maybe his insistence in defeat got away from him? Maybe who cares? We know the story. Not only did LBJ help cobble together the Chris Bosh and Dwyane Wade-aided triptych of stars in 2010, starting months prior, but the movement helped not only encourage labor strife in 2011 but a series of would-be super-teams to follow. There were super-teams before James’ squads in Miami and Cleveland, but nothing stood out quite like those teams. Mainly because LeBron James was around. He tends to tip the scales on these things. All LeBron James and his co-workers in the front office ever wanted to do was surround himself with star players, and the best and (we don’t use this word lightly) brightest of role players. Same as any other club has ever done in the hopes of not just accommodating the star, but in shooting for the moon. Since these teams stopped playing in front of empty arenas, only the 1998 Bulls truly declined overtures from their stars – and even that was more a form of a mutual gaslighting (spread out over three years) than anything, with coaches and players included. Every championship starts with identifying the stars as they shoot across the sky, whether that begins on draft night or in the early hours the day of the trade deadline or on midnight on July 1. James and his Cavs and Heat and Cavs again chased the stars in the same way each of this league’s previous championship contenders did, with greater success due to the league’s continued reduction of years on guaranteed contracts. To compare eras is comical. The stars of the 1980s and 1990s had no chance or no reason to look for greener pastures, stars of the era were either drafted into greatness, or left to watch as potential All-Star teammates signed five or six or seven or 25-year deals with their current clubs prior to testing free agency, if they ever did. Only Tom Chambers dared! The window didn’t lift until the 1990s, when collegiate familiarity mixed with shared representation and endorsement linkage. It pushed Charles Barkley to force his way onto a loaded, 53-win Suns team. It’s how Clyde Drexler paired with Hakeem Olajuwon, prior to welcoming Barkley and then Scottie Pippen to Houston. It’s how Alonzo Mourning and Tim Hardaway teamed, why Glen Rice seemingly became a Laker around every trade deadline or hot stove season, why Sacramento dangled its lone All-Star every February as it headed toward the lottery, and why Utah (not unlike a dozen NBA teams, currently) cycled in a new, hoped-for third option with available cap space and assets every year, looking to turn the corner while the stars seemed to add up elsewhere. Every solid a super, in hope. Some were luckier than others: James’ Cavaliers led off the top of most “Who Was Off the Chain the Most in the 2005 Offseason?” posts that summer (it was how we wrote back then) after they plucked Larry Hughes and Donyell Marshall off the free agent heap. For good reason: Hughes projected to be a mini-Dwyane Wade of sorts, all good box score stats, while Donyell Marshall was perhaps the league’s best stretch power forward the season before. We saw how that looked in production. The Cavaliers started out the summer looking to entice Ray Allen to play alongside LeBron prior to ending up with Hughes, a guy who somehow ended up with a negative-trillion True Shooting Percentage in spite of suiting up next to LeBron. That was a failed super-team, just as the Knicks failed to lure Reggie Miller in the summer of 1996, and just as Michael Jordan’s Chicago Bulls were constantly thwarted by the lacking free agent market during MJ’s pre-championship years. 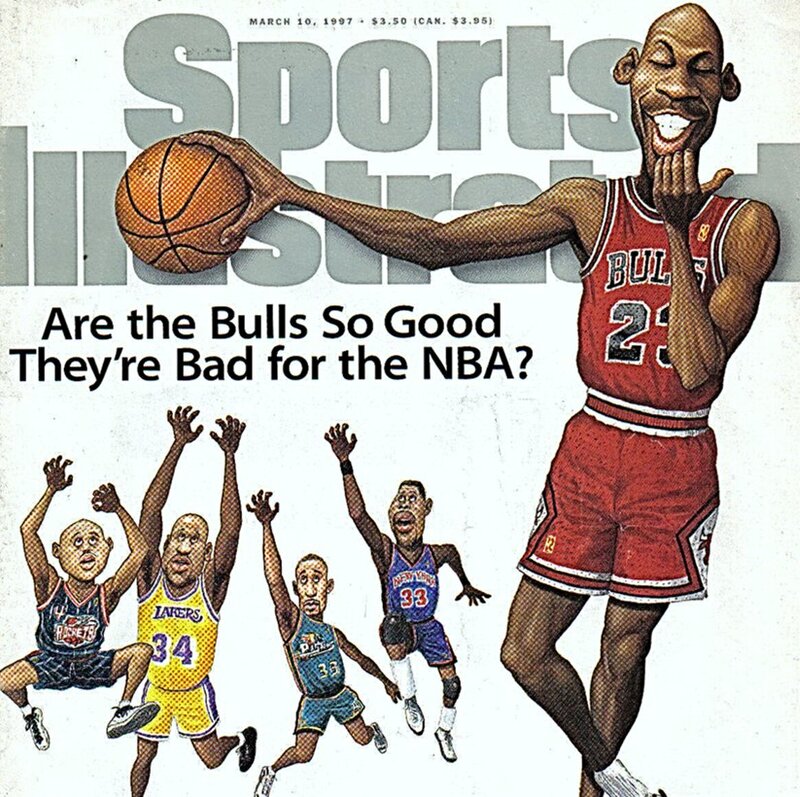 Jordan’s Chicago dominance wasn’t accosted as “bad for the NBA” until the team started winning things, they just skipped right past the “super-team” tag in that era. No, James had to go there. It would have been an ordeal had he left it up to mere news release, in 2010. Perhaps that’s where LeBron sets the demarcation point: Kevin Durant joining a 73-win team. A squad that came within a few points and one healthy knee away from entering 2016-17 looking for a three-peat. Instead, the Warriors entered the season looking to settle a score, sensibly. Golden State, when healthy and pre-Durant, already at worst leveled out with Cleveland’s crew of All-Stars. They won 73 games and their MVP hurt his knee, and they barely lost the Finals. Now they have to add Kevin Durant? And I play on a super-team? Whereas the Dwyane Wade that LeBron joined in Miami was just past his prime, with Chris Bosh needing two seasons to find his place, Kevin Durant just played the best basketball of his career. Whereas Kevin Love still alternates great nights and so-so ones, and Kyrie Irving’s touch down the stretch deserted him in two winnable Cavaliers games, the Warriors kinda, maybe needed half a season to get their act together. But James is on a super-team, because he got Tristan Thompson a big contract? He can’t be bothered with it. Nobody should blame LeBron James, after a news conference or playoff like that, if he doesn’t want to work out our sportswriter semantics for us.